Smoking can kill, we all know that -- but it does something else to the very fundamental coding of your body you might not expect. 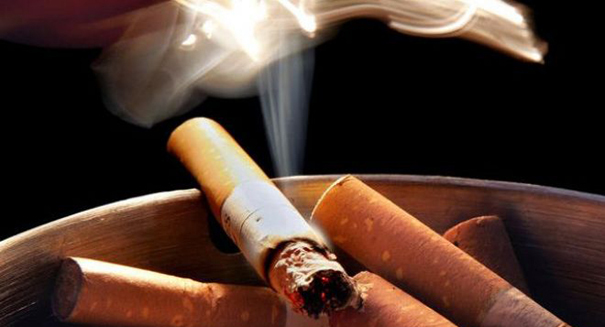 An alarming new study shows that it’s not just cancer, heart disease and other ailments we have to worry about when it comes to smoking: lighting up can also alter our DNA. A new study has found that smoking alters more than 7,000 genes in ways that may contribute to the development of these diseases, and don’t go away completely even when we stop smoking. Scientists based their conclusions on results from blood samples taken from 16,000 people in 16 other studies, finding that those who stopped smoking saw their genes recover for the most part within five years of quitting, showing that the sooner you stop smoking, the better. But the research team, led by Dr. Stephanie London of the U.S. National Institute of Environmental Health Science, also found that some genetic changes remains 30 years later, according to the study. The researchers looked at a process called DNA methylation, which are genetic changes that don’t alter the underlying cold but can change how they are expressed. Decades after smokers quit, there was still a higher long term risk of common smoking related diseases.